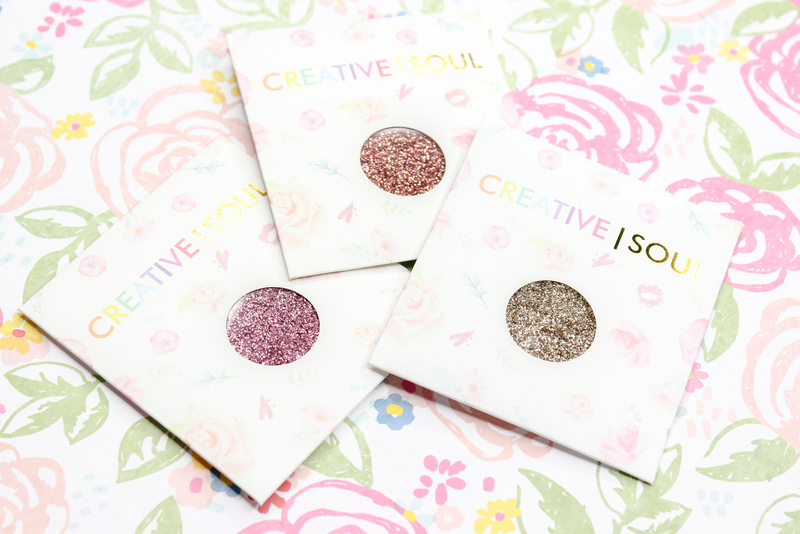 I first came across Creative Soul Cosmetics on Instagram, and I was immediately drawn to their pressed glitters (they also carry gorgeous silk and synthetic lashes that I am definitely going to try next time). I have been in a sort of makeup rut lately, and I really want to start experimenting and getting creative with my makeup looks-more so, the eyes. 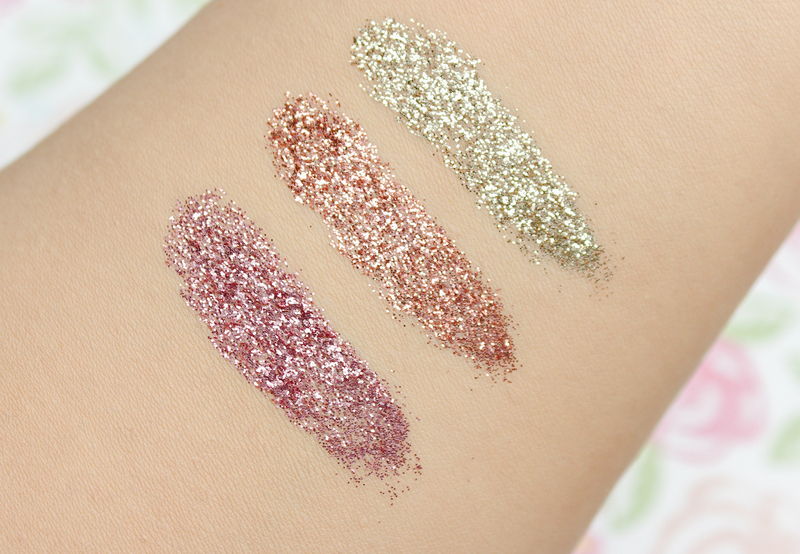 I love playing up my eyes with eye shadow, and what better way to amp up an eye look than with glitter? I don't like the idea of fussing around with loose glitter-hello, mess factor. But pressed glitter I can get behind. 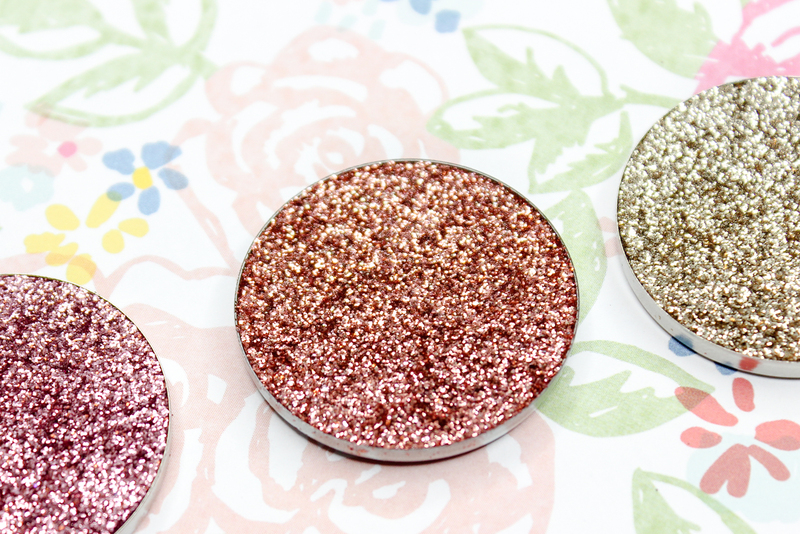 A Disclaimer (please read): Although these pressed glitters are cosmetic grade and considered safe for the skin by the FDA, they aren't recommended for use on the eyes and lips. I personally don't have a problem using glitter on my eye lids, but please take caution when applying the glitter whichever way you use it. Creative Soul Cosmetics nor myself (because I am reviewing the pressed glitters here on my blog), are responsible for any unsafe use. Now that we got that out of the way, onto the review! 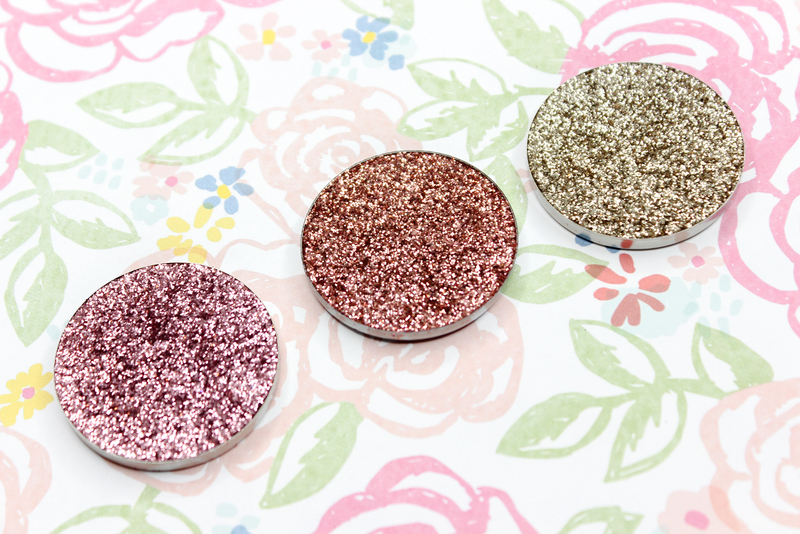 Creative Soul's handmade pressed glitters are cruelty free, vegan and paraben free. They can be used alone or with adhesive. I highly suggest using adhesive with these pressed glitters, since I find that they don't adhere too well-or for too long, on their own. Applied on top of glue (glitter or lash adhesive work fine) will ensure that fall-out will be minimal, and that the glitter will stay on all day. 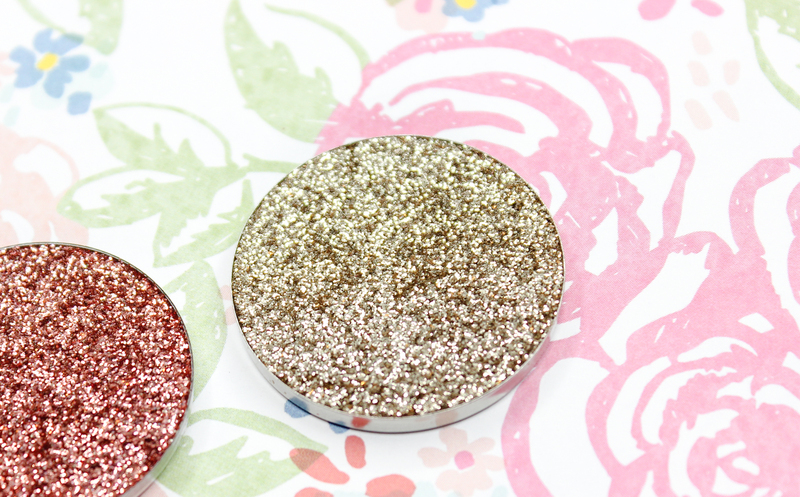 These pressed glitters are super smooth-not gritty at all, and they are so easy to apply. A brush will work, but I think I get the best and most opaque results when I use my finger to apply them. 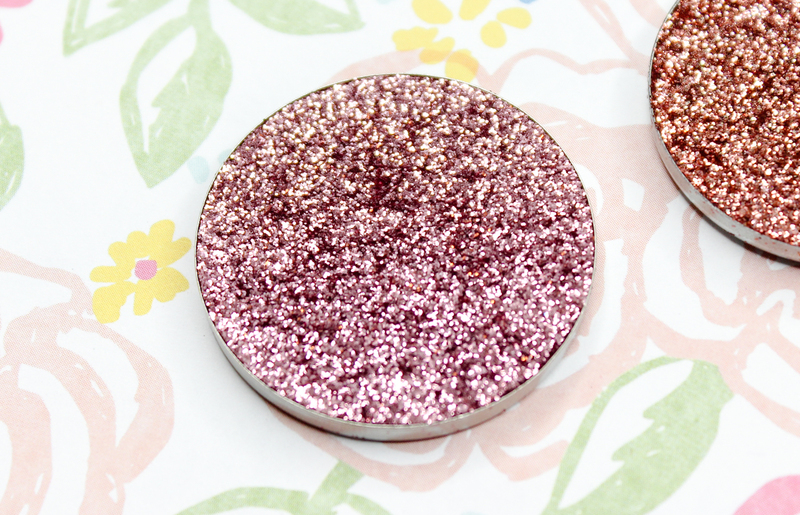 The pans keep the glitter in tact, and I love that I can just pop them into a palette without worrying about spills. The 5g size of the pan is pretty generous too. I really like all three of the pressed glitters I have, but my favorite has got to be pure copper. Just a dab looks amazing applied on the center or inner part of the lid, when paired with other eye shadow colors in the same color family, like browns, golds and bronzes.